Want it by Thursday 25th April? Order within 1 day, 22 hours, 54 minutes and choose Royal Mail 24 Hour Delivery at checkout. A fun pair of socks for the spring/ summer season. 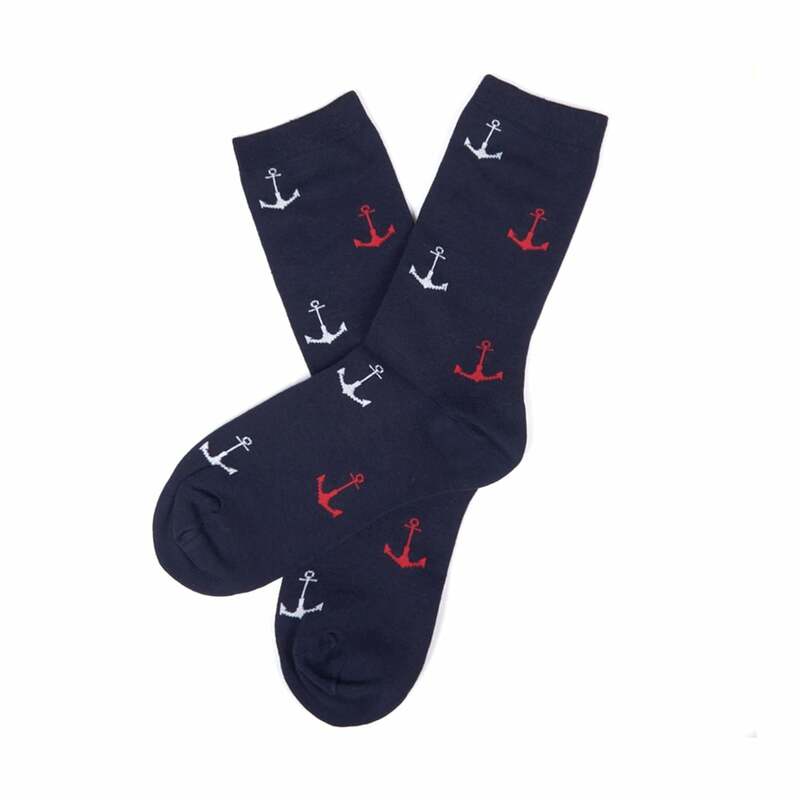 The Anchor Socks from Barbour are crafted from soft cotton and come in a beautiful navy blue colour with an all over print. Finished with elasticated ribbing to the top and Barbour branding on the sole, all adding to the excellent quality of this pair of socks.